What's a queen to do when she wakes up to find a huge bothersome dragon ransacking her kingdom and terrorising the villagers? By a stroke of luck, the bravest knight in the land happens to be skipping by at just the right moment. If he can rid the land of the dragon he can have her daughter's hand in marriage – but who would want to marry pond-bathing, stinky-footed Princess Scallywag?! This brilliant picture book will make unconventional princesses everywhere laugh until they snort! A laugh-out-loud funny, subversive princess book for girls and boys age four and up – perfect for fans of Princess Smartypants and The Paper Bag Princess! 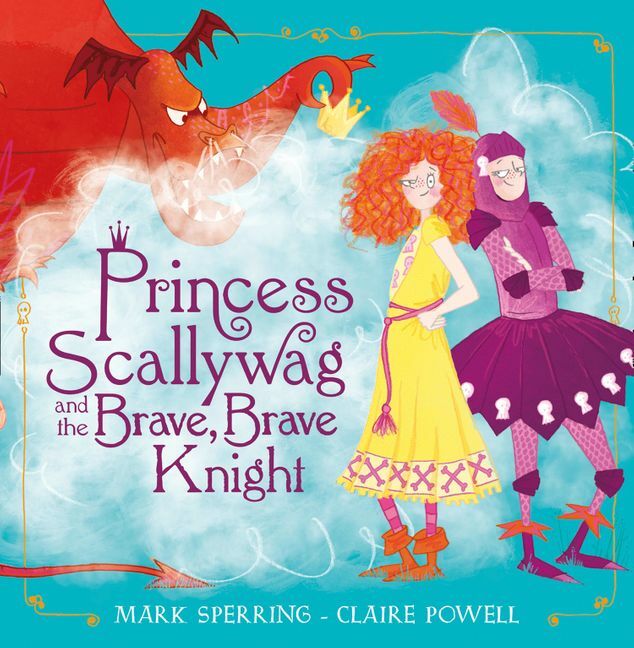 Mark Sperring is the author of several highly-acclaimed pciture books including the Sunflower Sword and Captain Buckleboots on the Naughty Step. He lives in Bristol where he also works as a bookseller.Sarah Warburton is the illustrator of Rumblewick, the Ruby and Grub stories and Sir Laughalot. She has a staller track record in fantastic picture books. Sarah lives in Bristol with her busband and two children.